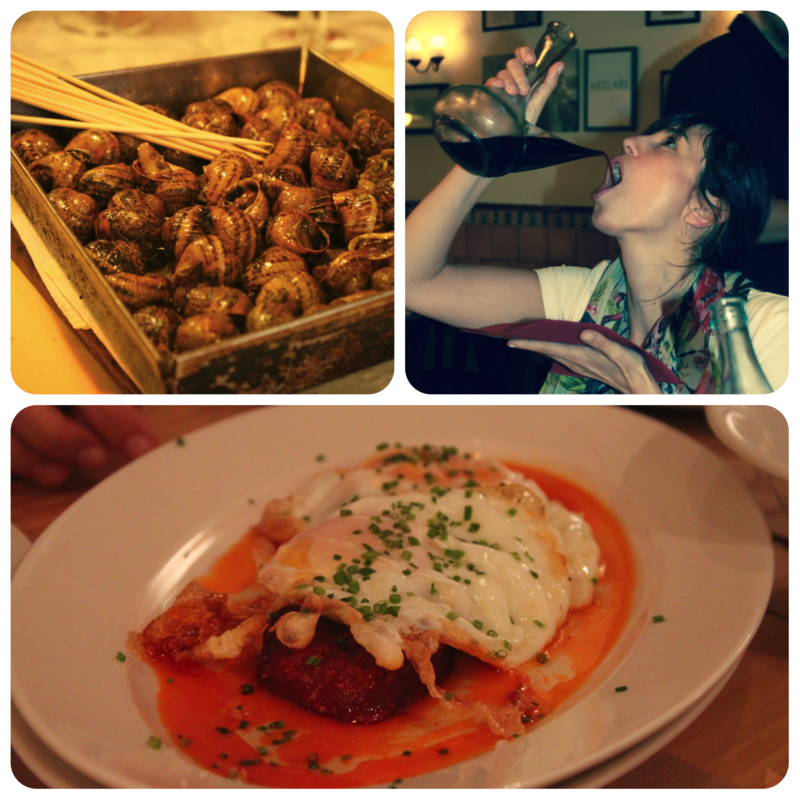 Blast From The Past – Culinary Backstreets Tour in Barcelona! I was sat here earlier flicking through some old photos and doing a bit of editing of stuff I haven’t got round to. I came across a load from a trip to Barcelona from 2014 with the wife and our mates Miles and Laura. Just going through the photos brought back some great memories, so I thought “sod it!”, here comes another post! Miles and me and our lasses head for a city break each year. They live up in Manchester and we’re down in London, so not always easy to catch up. So we thought it might as well be somewhere hot and sunny when we do, right? Last couple of years we’ve decided to do Barcelona, and on our first trip, in 2014, we signed up for the Culinary Backstreets tour on the first day out there. Miles was a bit unsure given the early start (god help him he’s useless in the morning!) but after meeting our guide, getting a bit of Gypsy’s Arm from the oldest pastisseria in Barcelona, picking up a bag of churros and heading into the old town for an explore the way any foodie dreams about, he got over it! What a great tour it was. All the stuff that city dwelling Catalans love to do. The nuts, the hams, the vermouth bar, and one of the trickiest ways of drinking wine ever! It was just an absolute joy from start to finish. I think our next few years will have to follow the cities where they run their tours. Not sure the bloggers budget will stretch to Tokyo (sadly), but Athens and Instanbul? No there’s not a bad couple of ideas! Is that a wine pitcher?! I so need one! Aye, old school Spanish style called a Porròn, cool eh? I’m living vicariously through you just hop skipping from country to country. I only wish I could do more! Stay in Spain! You have to promote my country so that more tourist come and spend money here to give a little pump to the economy. I see you had a great time, in the morning “chocolate con churros” I prefer “porras” which chocolate. Which I usually have them on the weekends. And I see in the picture you drank from the traditional “porron”, which is the glass thing that the girl with black hair was pouring down her mouth. Old time, Spanish style. Plus you even had the famous “caracoles”. Now you only have to venture to eat “cerdo asado” and “cola de toro” with the wine of your choosing. “cerdo asado” or roasted pig in English. Just delicious. never stops being awesome does it? Nope. One of our fav cites to visit. ← Anything To Check In? Well Funny You Should Ask!